A paralegal, or legal assistant, is a person in a legal profession who performs certain tasks that would normally be performed by an attorney, should a paralegal not be present. These include investigating facts related to a case, interviewing clients and witnesses, drafting legal documents, and performing legal research. Paralegals cannot give legal advice and always work under the supervision of an attorney and are essential to the legal profession, as they assist attorneys in most aspects of case research and preparation. The terms “paralegal” and “legal assistant” used to be interchangeable, but that is slowly beginning to change within the industry. Legal assistants now refer to more secretarial roles, while paralegals perform more duties directly related to the law. Those interested in legal careers but who aren’t sure they want to go to law school are good candidates to become paralegals. There are also some specific skills that paralegals should possess, including communication skills, research and investigative skills, and multi-tasking skills. These are the skills that are taught in formal paralegal educational programs, but it helps if you already possess them to some degree. The Bureau of Labor Statistics states that the job outlook for the paralegal profession is growing by around 17% between 2012 and 2022, which is faster than the average percentage of growth. If you’re interested in a career that is growing faster than average, or if you possess the necessary skills and are interested in the American legal system, a career as a paralegal may be for you. According to the National Federation of Paralegal Associations, there are several ways to become a paralegal. There are certificate programs, two-year programs, and four-year programs that all have merits, and which route you choose to go depends on your current role and educational status and what your eventual goals are. Based on the current job market, it is recommended that paralegals have a four-year degree with at least 24 credits in legal specialty courses. There are also post-baccalaureate certificates, allowing those with four-year degrees in other areas to earn the necessary credits and certification to gain employment as a paralegal. Top-tier law firms generally like their paralegals to possess a four-year degree with a certificate on top of that, if you’d like to go that route. The NFPA has a suggested curriculum for paralegal programs, but not all programs abide by these standards. There are many online resources to help interested students find the right formal educational program for them. There is also the option of an American Bar Association approved program, which the NFPA recommends. These programs have either met or exceeded the standards for paralegals set by the ABA. Once you have gotten some sort of formal education, there is also continuing education that leads to paralegal certification. It is different from the post-baccalaureate certification that was already mentioned. Paralegal certification requires that a paralegal has at least one year of experience and then pass a formal examination. The decision to become a paralegal does not mean that you can’t become a lawyer down the line. It is often recommended that people interested in the law but not decisively sure they want to go to law school work as a paralegal to gain experience in a legal field and to see if they like doing that sort of work. 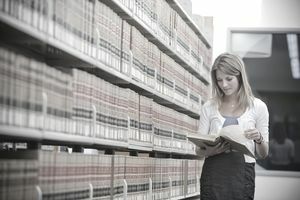 Law school is both very difficult and very expensive, so if you are not sure if it’s the right move for you, finding work as a paralegal is a more cost-efficient investment while you decide. It will also allow you to see the conditions that lawyers work under, which will also likely help you make your decision.